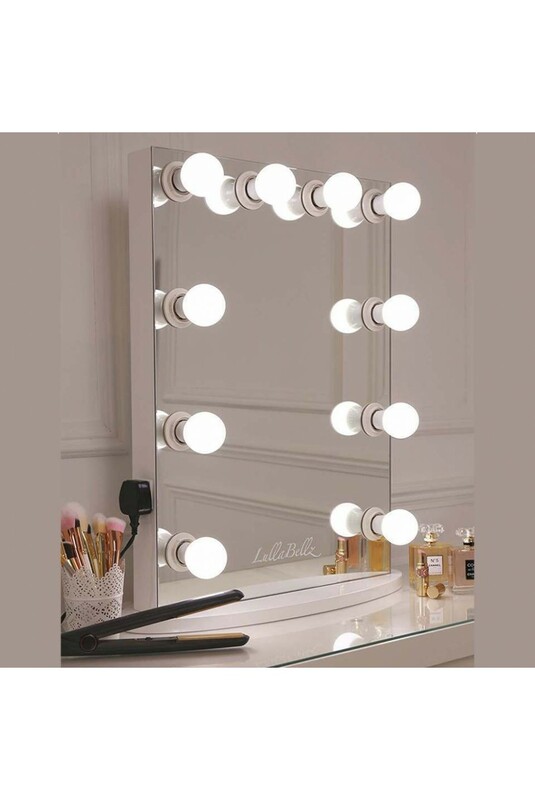 Make up on fleek has never been so easy to acheive with our LullaBellz Hollywood Make up mirror. 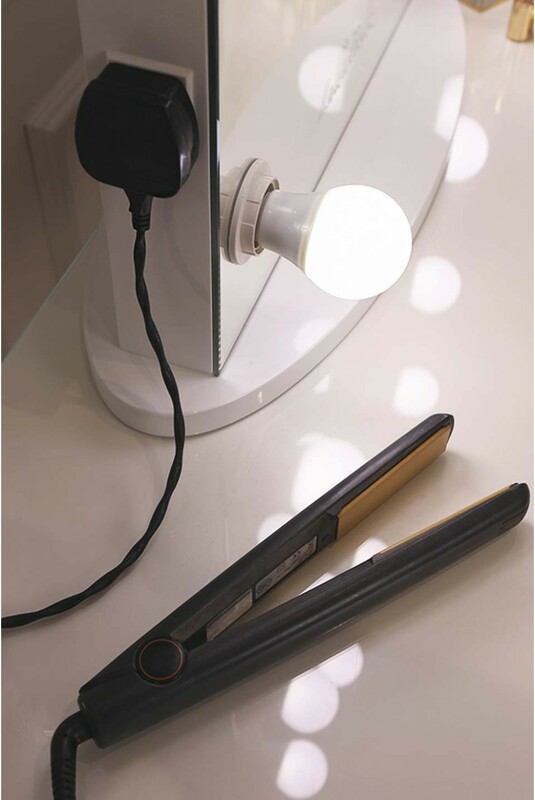 Featuring a sleek simplistic white base embedded with ten dimmable LED bulbs and a plug socket for your straightners/charger. You can use your hollywood mirror as a table top mirror or hang it on the wall as it comes with brackets on the back and all the screws you need to attach it! 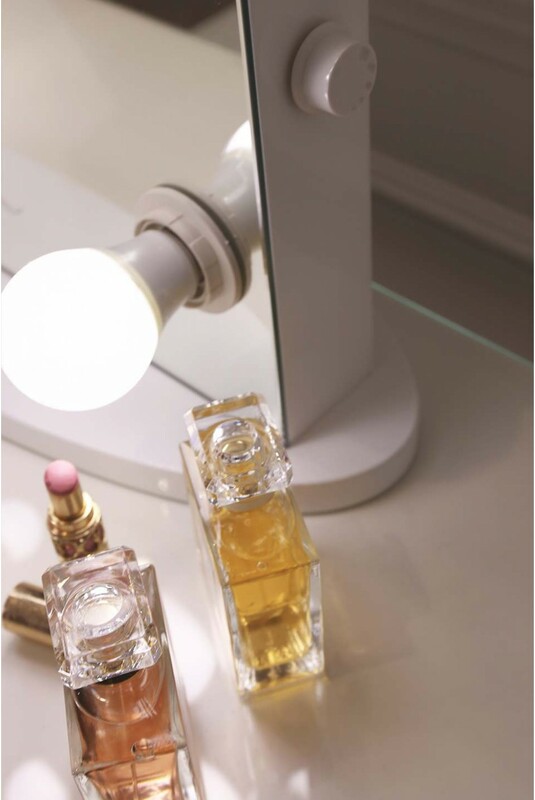 Purchasing one of our make up mirrors will revitalise your morning glam routine – erm hello hair extensions, lashes and lippy! Get that flawless finish youve always dreamed of, your snapchats and selfies will be the envy of all your friends! Insta worthy snaps every time? Check. This mirror also detatches from its base and features hanging accessories so it can be hung on your wall too. STANDARD SHIPPING available to all UK destinations. Please note: Next day delivery is unavailable and your mirror will take up to 3 weeks to arrive! Hey Gurl! We know three weeks is an absolute AGE to wait for your LullaBellz Mirror when all ya want to do is perfect your pout in luxe Hollywood style! 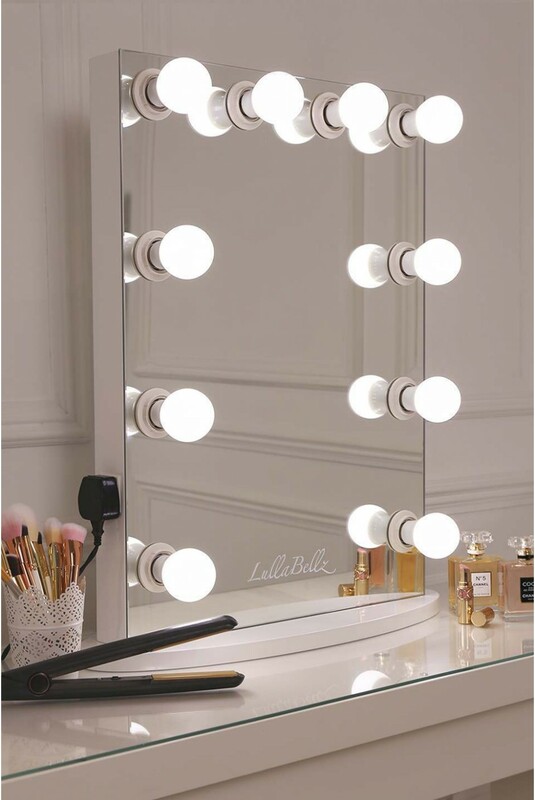 ALL our LullaBellz girls are loving the mirrors just as much as you and at busier times you may have to wait up to three weeks – sorry hun! However, don’t worry babe - we’ve got your back! 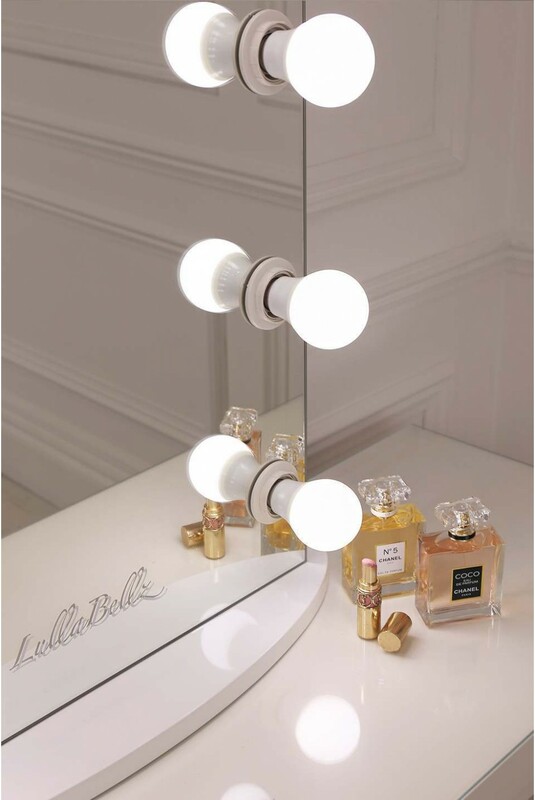 We will always try our best to deliver to you sooner and of course we will keep you updated here at LullaBellz HQ on your mirror’s journey to its beaut new home and owner! Once you’ve made your order our courier will be in contact within the next 3 to 5 working days to arrange your delivery slot. Please be aware that the drivers have been instructed to unpack your item and quality check the product as a compulsory task. If they do not do this you are within your right to request it. Signing the delivery note will mean you are accepting the item in the condition it is in and we cannot accept any responsibility for visible/cosmetic faults. If you are unhappy with your item after the unpacking please refuse the product and do not sign the delivery note.